From declining resource stocks to the recent rout in cannabis shares, Canada’s venture exchange can’t seem to catch a break. 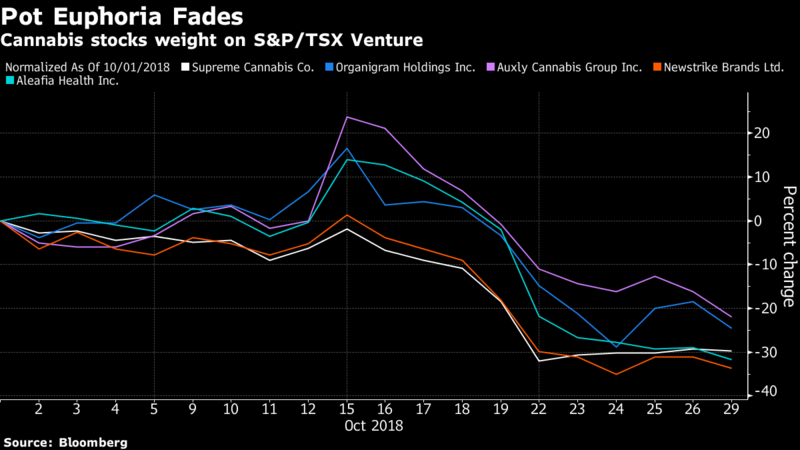 Pot stocks accounted for more than a third the 11 per cent decline in the S&P/TSX Venture Composite Index so far this quarter, with cannabis companies making up 10 of the 15 biggest contributors to the benchmark’s downside through Oct. 29. This has exacerbated a longer-term slump in the commodity-heavy small-cap index that has seen it lose about 80 per cent from its 2007 high amid weakness in Canadian crude and metals prices. The outsized influence of pot stocks is an indication of how the benchmark’s composition has changed over time as resource stocks declined. The S&P/TSX Venture is 41 per cent materials, 21 per cent health care, which includes cannabis, and 13 per cent energy. In October 2011, it was 51 per cent materials and 23 per cent energy with health care accounting for just 2 per cent. 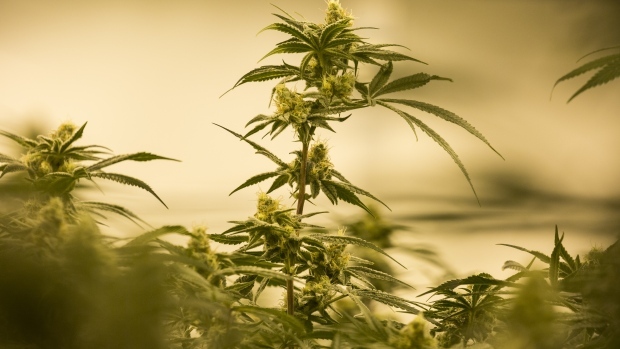 There are similarities between small-cap resource stocks and cannabis companies, said Barry Schwartz, chief investment officer at Toronto-based Baskin Wealth Management, which has over $1.1 billion in assets under management. Between them, The Supreme Cannabis Co., Organigram Holdings Inc., Auxly Cannabis Group Inc., Newstrike Brands Ltd., Aleafia Health Inc., Vivo Cannabis Inc., WeedMD Inc., Emerald Health Therapeutics Inc., Radient Technologies Inc. and Aldershot Resources Ltd. contributed 30.49 points, or about 39 per cent of the S&P/TSX Venture’s 78.97-point decline in the fourth quarter. Cannabis shares have been tumbling since just before Canada legalized recreational pot use on Oct. 17, ending a two-month rally that resulted in sky-high valuations and drew comparisons to the dot-com bubble or bitcoin. Supply shortages across the country, limited distribution networks in many provinces, order-fulfillment problems in Ontario and a scarcity of excise stamps are creating doubts about whether companies will be able to meet their sales expectations, GMP Securities analyst Martin Landry wrote in a note Monday. “With 12 days of cannabis legalization in the rear view, it becomes increasingly clear that recreational cannabis sales in 2018 will be much lower than previously expected,” Landry said.